This wasn’t exactly a barn raising, but it was done with similar speed. 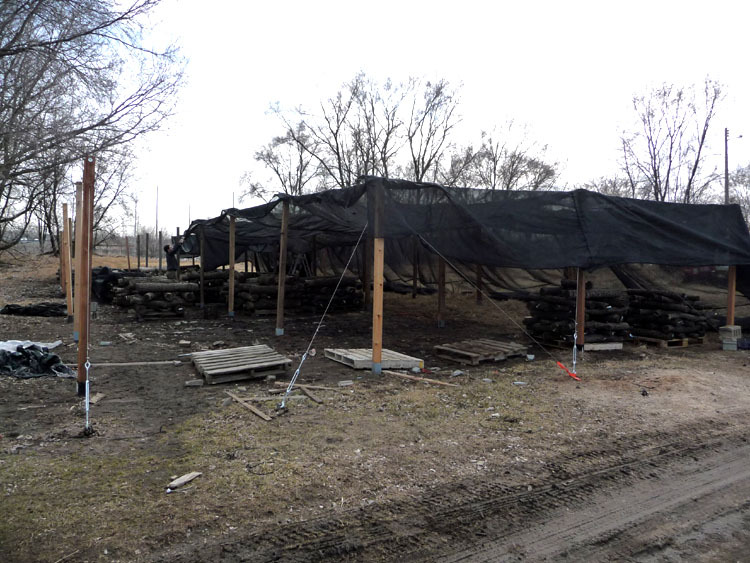 It is true that I have prepped the site since last fall – to put in ground anchors and post anchors, prep posts and hook up cabling, but prompted by our summer weather in late winter, we raised the shade structure last Thursday. After putting in the center posts and stringing the last cables, my volunteer and I tightened every cable clamp and then the turnbuckles. When one ground anchor pulled up we put two in its place – and in better spots. Then we pulled hundreds of lbs. of shade fabric up onto the structure, pulling a few feet up at a time at each bay again and again until the leading edge met the ground on the other side! The result is a sublimely open shade structure. With clips at the perimeter to hold the shade fabric, we will be able to open the walls partially or completely for ventilation. 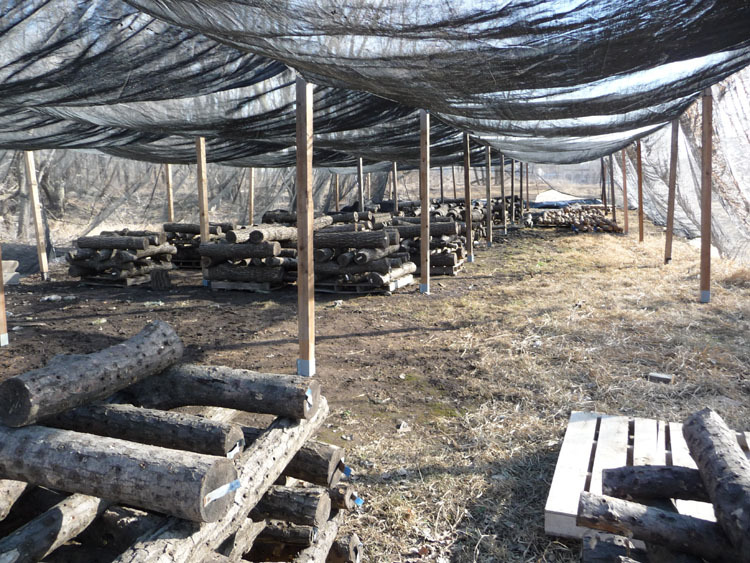 You will see lots of open space; if I can get all my logs inoculated, this unused area will be filled with freshly inoculated logs. Speaking of that, I need to get back to work!